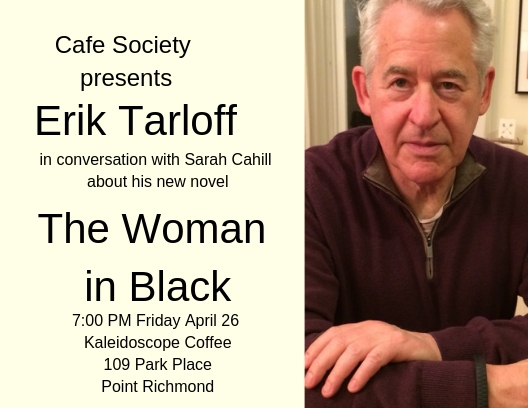 Award-winning screenwriter, playwright, and novelist Erik Tarloff will be reading from his new novel, The Woman in Black. Devi Laskar reading from her debut novel "The Atlas of Reds and Blues"
Catamaran welcomes distinguished poets, writers, & visual artists from recent issues. 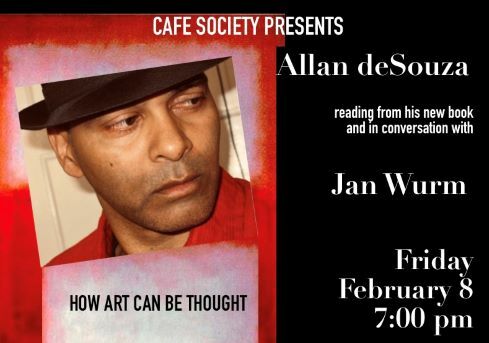 Allan de Souza, Multi-media Artist, Photographer and UC Berkeley Professor will be reading from his new book How Art Can Be Thought, in conversation with Artist Jan Wurm. Valerie Wallace's Poems are about the life and work of British fashion designer and couturier Alexander McQueen (1969-2010). Cafe Society Presents "Romeo is Bleeding," a Benefit Screening for Richmond's RAW Talent Collective, with Donte Clark in conversation. Donte Clark — poet, writer, youth activist— gained national recognition with the 2017 release of the award-winning documentary “Romeo Is Bleeding.” Donte and the RAW Talent Collective's spoken word artists will perform, and there will be a discussion of the making of the film. Brenda Hillman, reading from "Extra Hidden Life, Among the Days"
Betty Reid Soskin, author of "Sign My Name to Freedom"
Jeff Talarigo, author of "In the Cemetery of the Orange Trees"
Novelist Jeff Talarigo will discuss In the Cemetery of the Orange Trees, a collection of stories about life in the Gaza region. 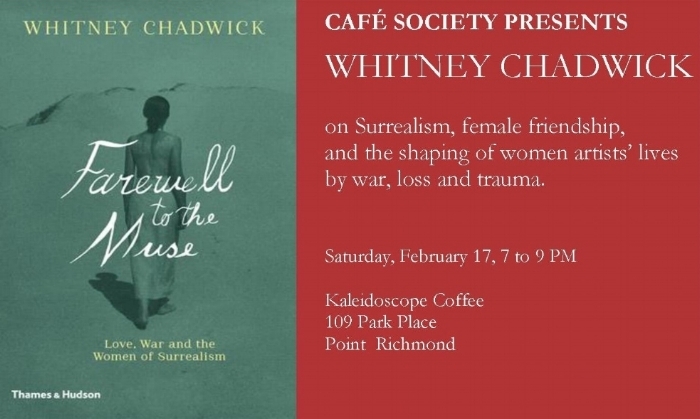 Whitney Chadwick, author of "Farewell to the Muse: Love, War and the Women of Surrealism"
Whitney Chadwick, author of Farewell to the Muse: Love War and the Women of Surrealism, will discuss her book on female friendship, Surrealism, and the shaping of women artists' lives by war, loss, and trauma. 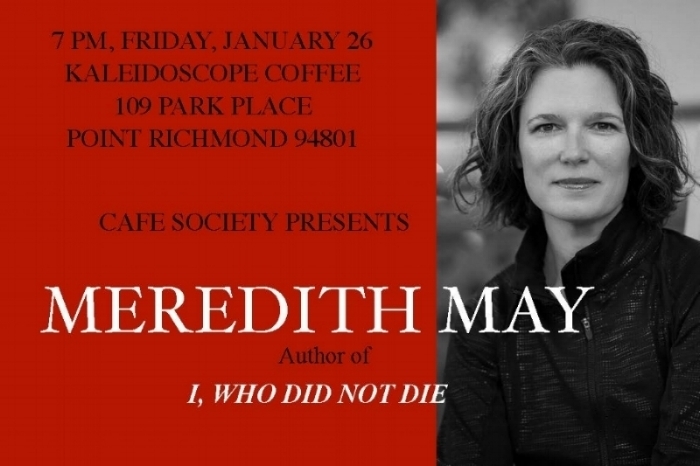 Meredith May, author of "I WHO DID NOT DIE"
Meredith May, author of I, WHO DID NOT DIE, tells the incredible story of two men who were destined to be mortal enemies, but instead found in each other mercy, kindness, and hope. Please join us for a glass of holiday cheer to celebrate Kaleidoscope's Second Anniversary. Cafe Society poets, writers, artists, and community leaders who have presented will attend and be available to sign books. Elizabeth Rosner, author of "Survivor Cafe: The Legacy of Trauma"
Elizabeth Rosner, Author of Survivor Cafe: The Legacy of Trauma, will be in conversation with Elizabeth Farnsworth, author of A Train Through Time. 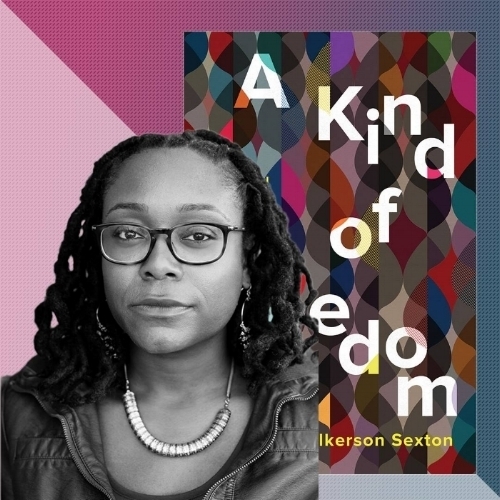 Sylvia Brownrigg, author of Pages for Her and Cornelia Nixon, author of The Use of Fame will be in conversation with Kirsten Saxton, English Professor at Mills College. Both authors will do a reading and book signing. 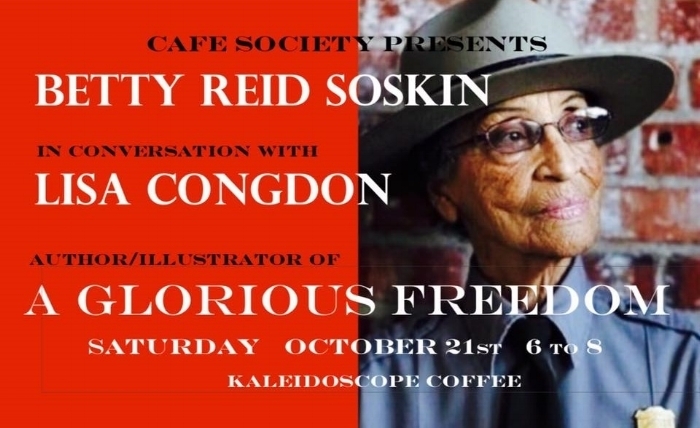 Lisa Congdon in conversation with Betty Reid Soskin: "A Glorious Freedom"
Bestselling author and artist Lisa Congdon's book, A Glorious Freedom, explores the power of women over the age of forty who are thriving and living life on their own terms. Lisa Congdon will interview Rosie the Riveter/World War II Home Front National Park Ranger Betty Reid Soskin, a former member of the California Legislature, an artist, and a civil rights activist. Pulitzer Prize Winning Poet, Robert Hass, reading from "A Little Book on Form"
Margaret Wilkerson Sexton's debut novel: "A Kind of Freedom"
Suzanne Gordon and Steve Early: "Local Resistance"
Please join novelist Mary Rakow and The Rev. Liz Tichenor for an evening devoted to looking at contemporary use of sacred texts. Mary will read from her novel This Is Why I Came. ELIZABETH FARNSWORTH, filmmaker, foreign correspondent, and former chief correspondent and principal substitute anchor of PBS's NewsHour with Jim Lehrer, will do a reading from a memoir, A Train Through Time. She will be introduced by Charlie Haas, author of The Enthusiast. Crime fiction night with Cornelia Read, author of "A Field of Darkness"
CORNELIA READ, author of four literary crime fiction novels, will be interviewed by East Bay playwright Madeleine Butler. Award-winning poet, writer, essayist, playwright, and filmmaker, author of "Woman and Nature"
Café Society will celebrate the 40-year anniversary of Susan Griffin's novel, Woman and Nature. 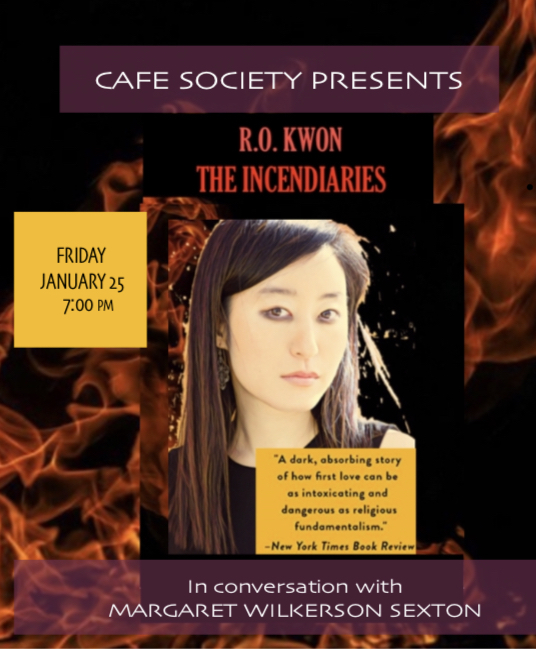 Griffin will do a reading, followed by a conversation with the distinguished novelist Elizabeth Rosner, whose novel, Electric City, addresses many of these same concerns. "Never be afraid of what you have to say..."
Donté Clark, spoken word artist, featured in the documentary "Romeo is Bleeding"
Ethiopean-born restaurant owner Menbere Aklilu will talk about her life and her support for the Richmond community. Please join Cafe Society in supporting Menbe's work. We will gratefully collect donations for her annual "Day of Giving Thanks", a Thanksgiving meal for Those in Need at her world-famous Salute e Vita Ristarante on the Richmond Marina. Dana Johnson will join author Victoria Patterson for a conversation on "Race, Class, Gender and the Need to Represent!"